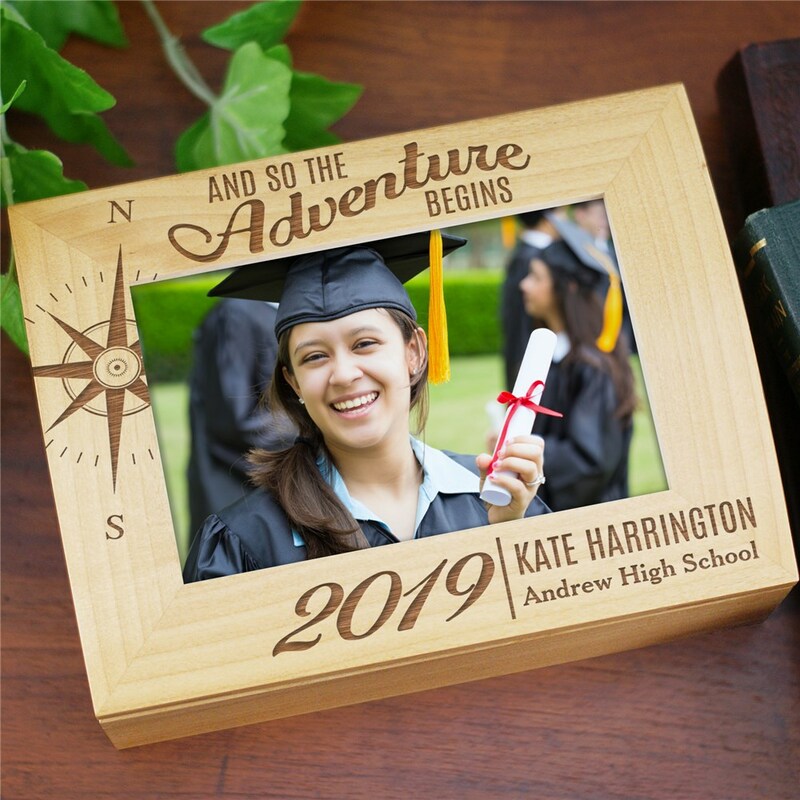 Give your graduate a gift that is as memorable as their college career with our Engraved Adventure Begins Photo Keepsake. Our wooden Personalized Keepsake Box is engraved for you free with any year and 2 custom message lines. Makes a great gift for any friends or family that are Graduating! Love this, a great graduation gift!